How to survive in a slow time? Is it possible to cover operating cost during the slow time? How to meet the growth goals? Here are the major strategies that positively help you in conquering the cash flow of seasonal business and earn the required revenue. Implementation of these major strategies is going to help in regular business growth. All of the seasonal businesses understand and identify the requirements of the slow season. They know, they’ll encounter peak and slow season and need to manage their budget accordingly. The fluctuating budget is also obvious for business as well as clients. 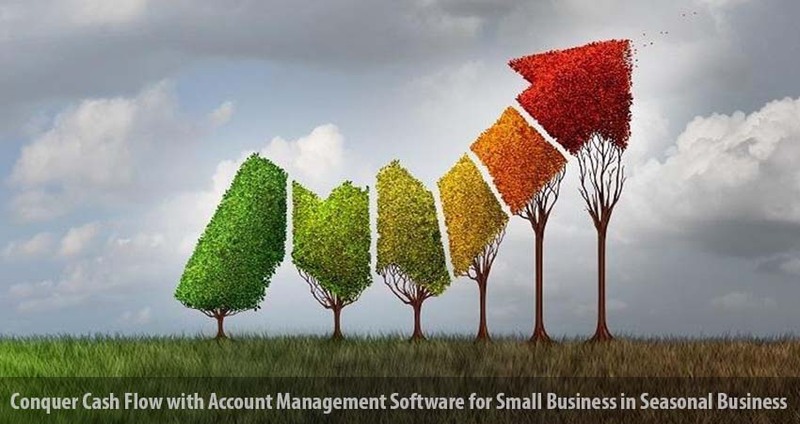 Your preparation is essential with an account management software for small business. This software helps in handling fluctuations throughout the year and predict the expenses. Once you’ll able to develop an understanding with your own cash flow necessities and craft the strategies. Here we’ve discussed the significant strategies to make things easier for you. In cold season you need to market your services to find more customers that may support in earning more benefit in the hot season. Marketing your products and services are going to benefit you during the peak seasons and help in generating more revenue. Existing clients are the undoubtedly a goldmine for any business because you’ve already established a relationship with them. During cold-season, you have to spend more time to boost your relationship so, you may sell more services to them. Retaining an old customer is an important factor that guarantees the increased cash flow. An open source account management system for small business can also be used to manage as well maintained customer’s record. One of the major reason behind the company’s cash flow problem is unclear payments from clients. Delay in payments may cause a devastating effect on any seasonal business. It may also harm the growth rate of business. Slow payments, unclear cheques could be the major concern during all seasons because the expenses are still there, but you’re not getting payment from customers. It may cause unnecessary anxiety. The only solution for such a situation is to speed up payment procedure. An effective accounts management software for small business helps you to get paid on-time. Expanding your services is an excellent strategy to improve and manage your cash flow. An account management software for small business is undoubtedly the best solution to plan strategies and manage cash flow on as well as offseason.